Plush Palate: Sneak Peek: Christina of Down and Out Chic! Sneak Peek: Christina of Down and Out Chic! 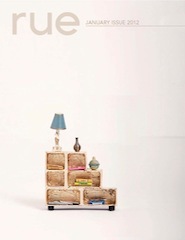 'Day 2' of blogger home sneak peeks brings us the lovely Christina of Down and Out Chic! If you already know Christina, then you've probably caught on that this girl seems to do it all without ever missing a beat. Besides working a full-time job and maintaining her uber popular blog, she also runs her own Etsy Shop! And just like the beautiful handmade jewelry she creates, Christina is always stylish and truly one of a kind! I'm so thrilled to be sharing a peek inside her home with you today! Thanks, Christina! Hi, this is Christina from Down and Out Chic and I'm thrilled to be guest posting today on such an inspirational design blog. If we haven't met before- it's good to meet you! If we have met, then you might have realized that a sneak peek into the home B and I inhabit is a pretty rare thing. I've decided that rather than taking you through a typical house tour, I'd show you little pieces of some of my very favorite "moments" in the house. B and I rent a very old home in Athens so we've had to be both restrained and creative in making our space OURS. Many of the object in our home are vintage pieces, hand me downs, upcycled thrift finds, or something we've actually created. I love that when I look around our space, our home tells a quite story of creativity and resourcefulness. This ceramic bullhead was found in an antique shop and we both immediately agreed it had to be ours. It was one of the first items we bought together for the house. It currently hangs over our bed. 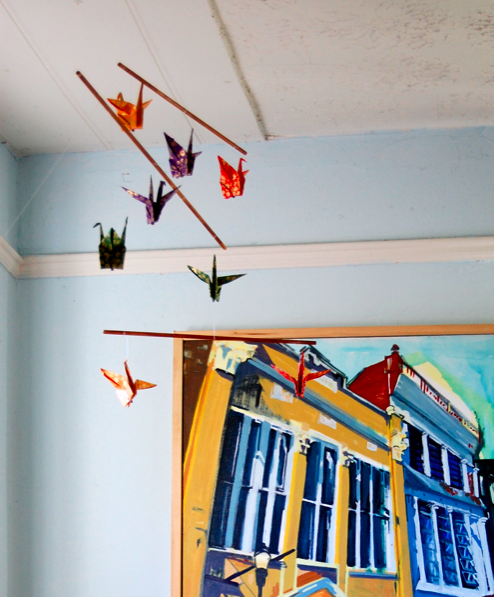 I came home this past weekend to find a origami crane mobile that B has just finished. It's his first mobile and I think it's wonderful. The painting you see behind it belong to our talented friend, Nash Hogan. We've offered to "store" his painting in our home for free, which means FREE art for us! If there's one thing that B and I have TOO much of, it's books. They're everywhere! This is a shot of a portion of the mantle in our bedroom. There's an old self portrait of myself and sitting around the gifaffe's neck is a sign that simply states, "happiness." It's a good reminder that, to me, that happiness is something I choose, everyday. 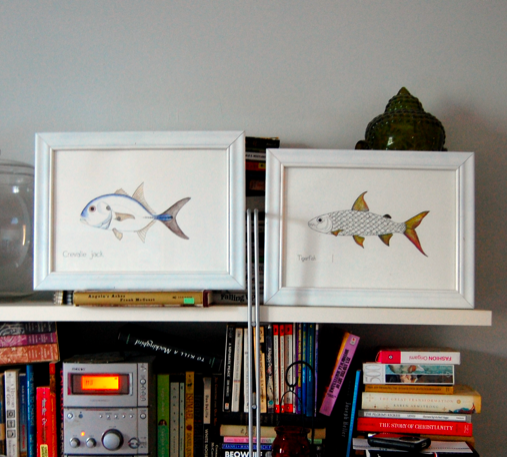 B has recently been working on a series of watercolor fish. These two are some of the newest pieces. I can't wait to eventually have a whole school of fish gracing a wall! I kind of have a thing for fake animal heads (in case you can't tell from the previous photo). 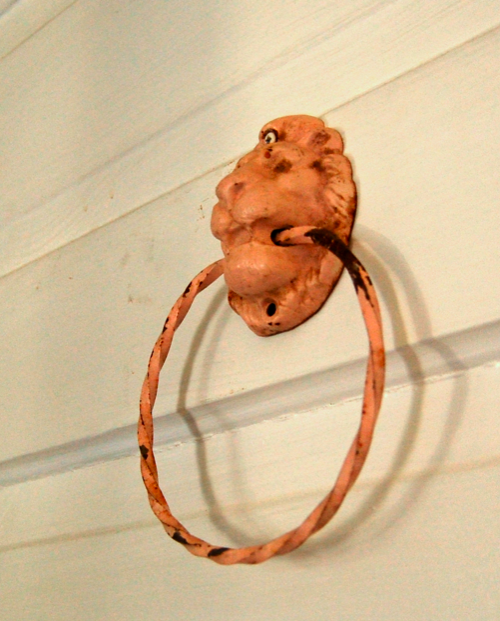 This antique door knocker is the prettiest shade of blush pink and it's currently sitting on our kitchen door. I'm a firm believer that every woman needs some sort of designated spot or vanity to get ready in the morning. Some place that's just yours. Mine consists of a vintage sewing table and a vintage folding chair. I hope you enjoyed a mini peek into my home! Thank you Crystal for having me! I loved seeing your home, so many wonderful treasures! Have a sweet day! I'm impressed that Christina finds time to read so much as well as doing all that! I'm enjoying this series, Crystal! Such a sweet home! I love all of the art - it looks like an inspiring place to be! What a gorgeous color on the walls! I love the little accents and touches. amazing! I love the colors of the walls! And the stack of books! 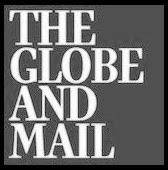 great post & series! Hope you are having a lovely time on the west coast. hope the sun is shining up there in Seattle. Portland is a rainy mess! 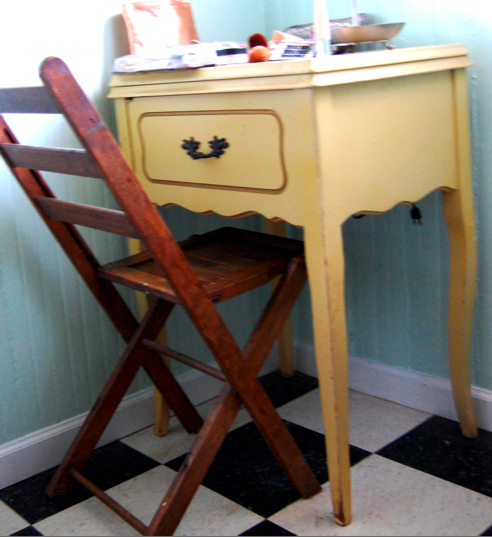 Oh I love the colors in this home and my favorite part is the vintage sewing table and folding chair! How wonderful to use as a vanity...amazing. Christina, I love the great light you have in your home! The blue is really a great wall color and reminds me of what we just used to paint our bedroom. What color is it? 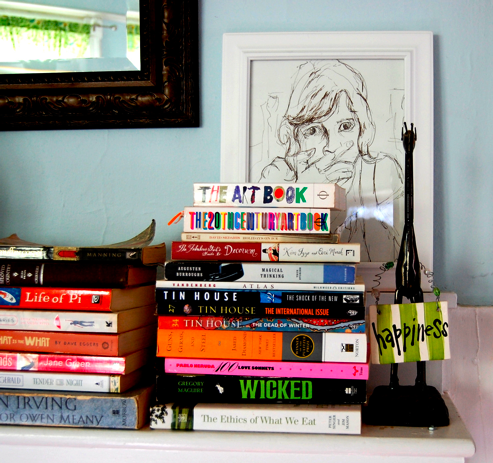 We too are book people, but I feel like a house isn't a home without lots and lots of books! Keep 'em coming. I love seeing inside the lives of designers and how they live. 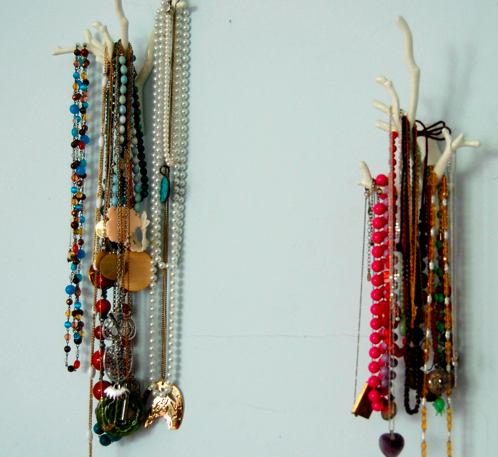 and the way you hang your FABULOUS necklaces is similar to what i do! so you are smart like me! ah ha hahahahah! i'm so inspired by posts like this. thank you for sharing this peek inside your home, Christina. and now, i'm going to check out your blog, too! D&OC never ceases to inspire...look at her life of story filled treasures! Love it! I just adore how artistic and creative you guys are! wow christina, your home looks just so cool! thanks for sharing these snippets - hope you'll reveal more at some point if you're feeling like it. 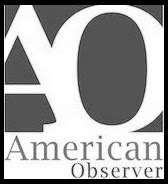 thanks for the introduction, I am so excited to ck out this blog/etsy store! Great space! What a fabulous house. I love the details. loving the skull! and the color of the wall with it!! Love Christina's unexpected style!! 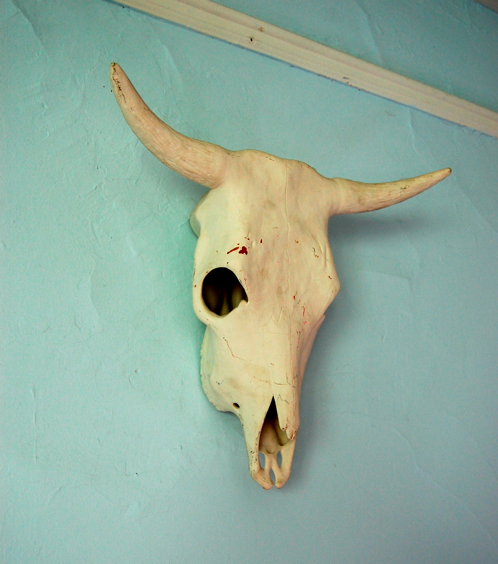 And even more in love with that ceramic bullhead and the paint on the wall! Have a fascination for such as well. Thanks for sharing! 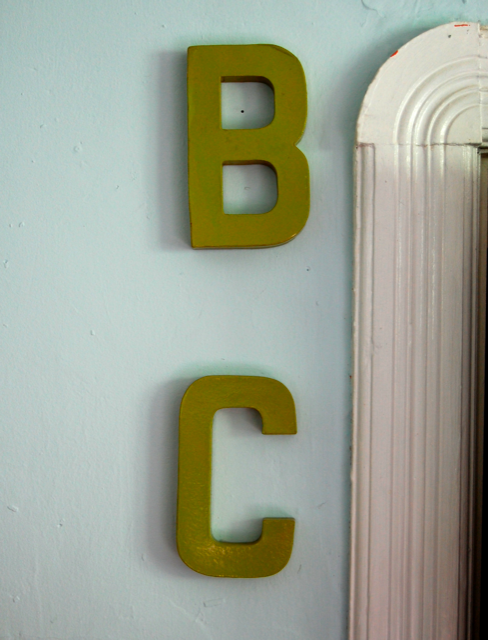 How fun to take a peak inside Christina's lovely home! She has such a beautiful and fun sense of style. And B is so talented - can't wait to see the entire school of fish when it is completed.